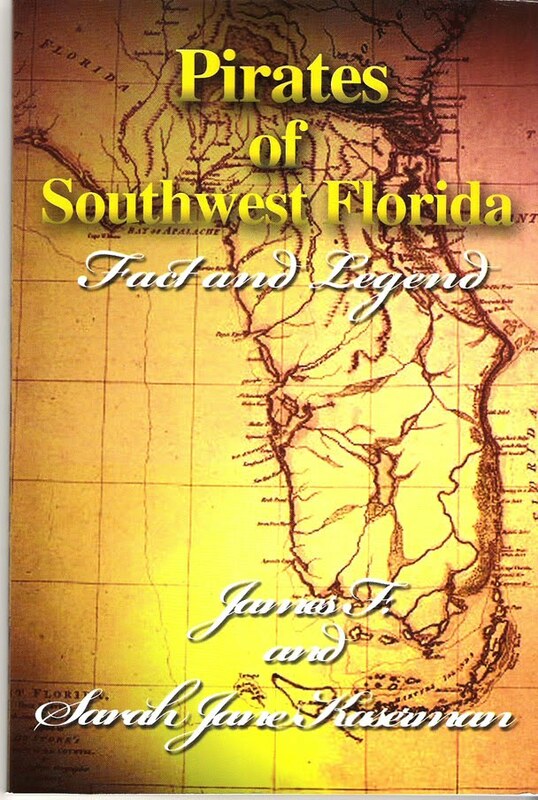 James F. & Sarah Jane Kaserman, pirate authors and lecturers, will be offering three History of Pirates of Southwest Florida events during August for the Florida Gulf Coast University's Renaissance Academy. 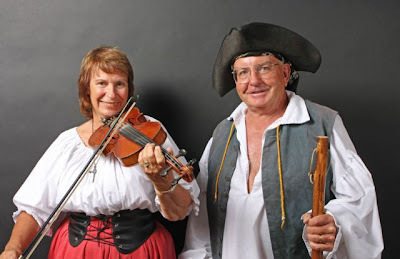 Based upon their non-fiction book Pirates of Southwest Florida Fact and Legend, the Kaserman's invite their students to come aboard for an hour of entertaining pirate stories and music. Listen to the music of the pirates and hear the true history of pirates in Southwest Florida from the 1700's up to the present! 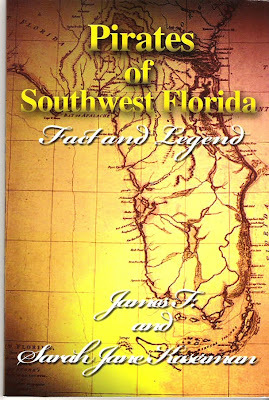 August 2, 2010 - Calusa Harbour, 2525 First Street, Fort Myers, FL, 12 noon - 1:30 p.m.
August 10, 2010 - Punta Gorda Isles Civic Assn., 2001 Shreve St., Punta Gorda, FL 10:00 a.m. until 11:30 a.m.
August 25, 2010 - Burnt Store Presbyterian Church, 11330 Burnt Store Rd., Punta Gorda, FL 10:00 a.m. until 11:30 a.m.